This is an uncommon Philippine endemic. It measures 6 1/2 inches long. It has very distinctive large blue wattles around its eyes. 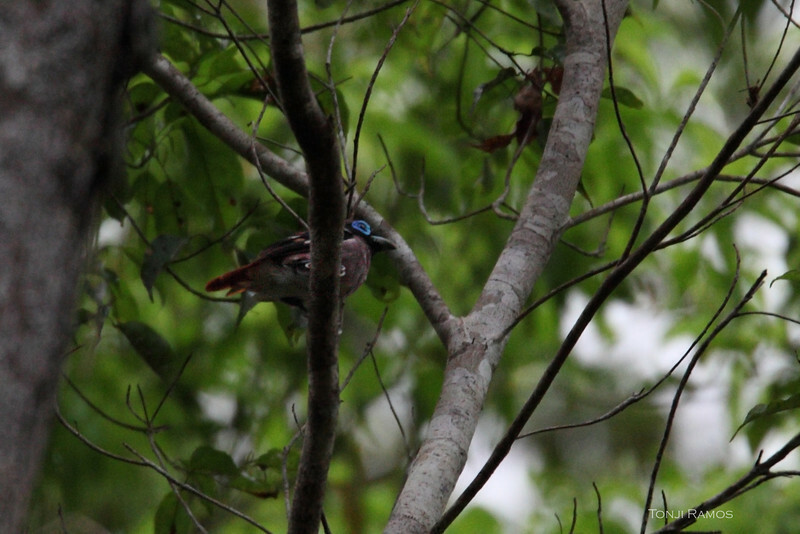 Visayan Broadbill was split from Wattled Broadbill Sarcophanops steeri. The first time we saw this bird was in 2010. We in Rajah Sikatuna Park with our guide Ryan. The bird was perched in a faraway tree and flew away before we could get a photo. We were able to take a photo and see it more clearly when we returned to Rajah Sikatuna Park in August 2011.